FreeAgent Go Seagate hard driveThe new FreeAgent Go, Seagate external portable hard drive has an array of good features. Apart from 160GB storage space, there is a bundled software named Ceedo that allows you to synchronise data between different computers. It brings your desktop environment in a mobile state without having to physically remove drives or carry a laptop. In the age of modern external hard drives, apart from storage space, functionality, robustness and design are equally important and the FreeAgent Go does not fail to deliver. It is easy to install and then you can start moving files and backing up valuable data. 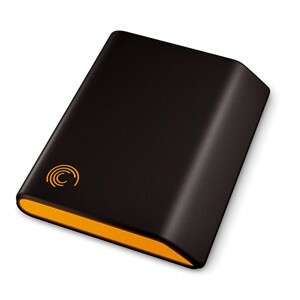 With retail prices starting at Â£60 this is great value for money if you are after 160GB of portable storage.